Artistic Body Development (ABD) is Denver’s first and oldest Pilates studio, opening its doors in 1986 in the city’s Golden Triangle. Since its founding, ABD has developed and sold two additional studios, and established its new flagship location in 2003 in the popular Baker Neighborhood. 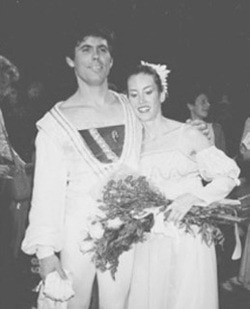 Its story began years before 1986, however, when its founders, Michael Dailey and Andrea Bains, worked and danced together as ballet partners at Ballet Arts Center. It was during their time at this ballet studio that the owner, Larry Boyette, approached them to start a Pilates program for the other ballet students at the school. 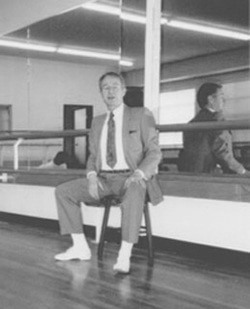 Mr. Boyette had previously studied under Joseph Pilates when he danced with American Ballet Theater and the Metropolitan Opera Ballet in New York City, and was eager to train others in the Pilates technique. After extensive training with Mr. Boyette (as well as with other leaders in the Pilates field such as Kim Lee, Romana Kryzanowska, Ron Fletcher, and Stefan Friese), Mike built his first Pilates Universal Reformer and he began teaching the method to other ballet dancers on a one-on-one basis. As their business and clientele grew, Michael and Andrea began to notice deficiencies in the traditional Pilates method, and so they began to develop the Pilates-based technique ABD teaches today, called Myopatterning. Michael and Andrea have gained notoriety in both the ballet and exercise communities which has led to invitations to work with trained athletes in numerous cities around the world. They have worked with the United States Figure Skating Association, various soccer clubs in Rio de Janeiro, Brazil, as well as with ballet companies in Paris, Stuttgart, Atlanta, Las Vegas, Milwaukee, and San Diego, among other guest appointments. Teachers from ballet schools and companies worldwide came to Vail, Colorado for the International Festival of Dance and Teacher’s Conference where Michael and Andrea taught for four summers. 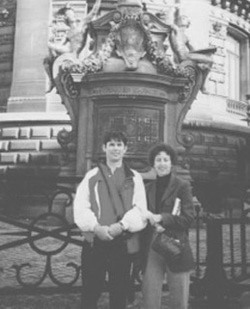 During the formative years of Artistic Body Development, Michael was also teaching kinesiology in the dance department at Colorado College, where he encountered an array of injuries and physical problems experienced by the dancers. He began looking at the causation of these problems (muscle weakness, tightness, imbalance, misuse, etc.) and developed new exercises to mechanically correct the problems in a way that traditional Pilates could not. The Myopatterning technique safely targets and develops every major and minor muscle group in the body through resistance training, cardiovascular work, and stretching, with an emphasis on proper body alignment throughout. All exercises can be modified to serve a variety of different fitness levels and physical conditions, with personalized instruction given by our trained staff. The exercises can be done safely at any age, with our clientele ranging in age from 12 to 85. Myopatterning is constantly evolving to offer corrective and overall fitness that can be done throughout every stage of life.